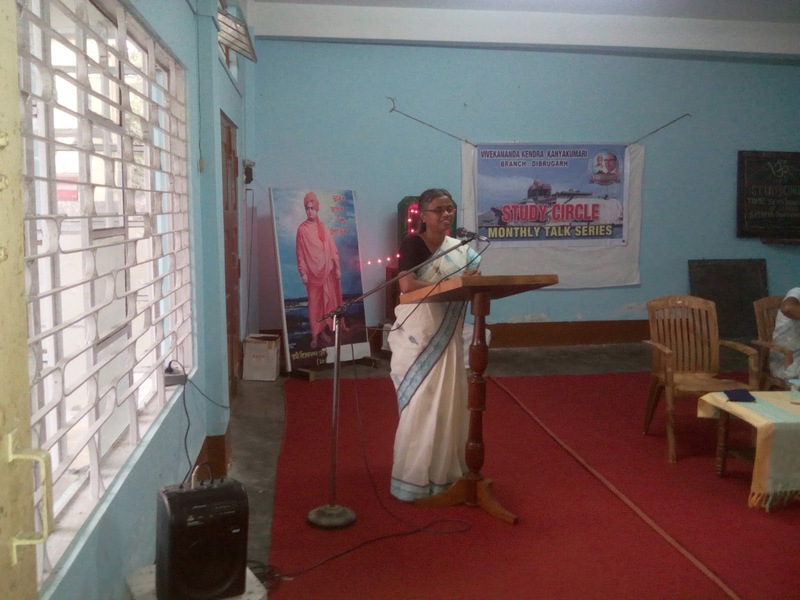 Vivekananda Kendra Assam Prant: 17th Monthly Talk Series at Vivekananda Kendra Dibrugarh on 27th March'2016, Speaker: Kum.B.Radha Devi, Topic:SEVA-Indian concept of service. 17th Monthly Talk Series at Vivekananda Kendra Dibrugarh on 27th March'2016, Speaker: Kum.B.Radha Devi, Topic:SEVA-Indian concept of service. Kum.B.Radha Devi,Join Secy,Vivekananda Kendra Arunachal Pradesh Trust. On the evening of 27th March'2016 at the premises of Vivekanada Kendra Dibrugarh, 17th Monthly Talk Series was held where Jeeva Vriti & Join Secretary of Vivekananda Kendra Arunachal Pradesh Trust Adarniya, Kum. B. Radha Devi was the speaker. 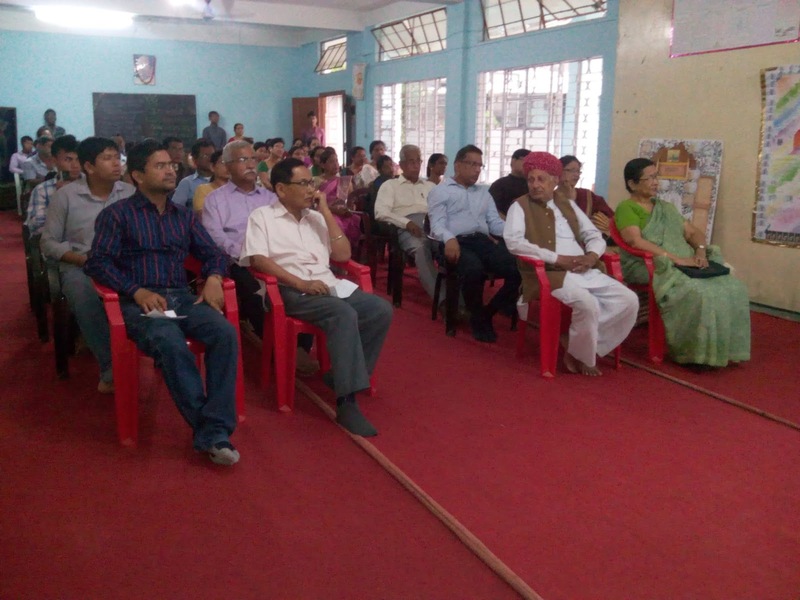 The talk was on the topic "SEVA-Indian concept of service" which was attended by a quality gatherings of intellectual sections including seniors and youths of Dibrugarh. All together 75 numbers of people attended the event. 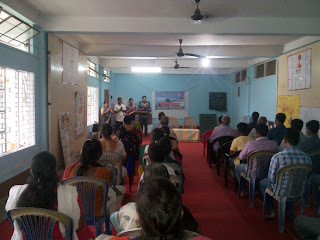 Omkar Chanting & Shanti Path Kendra Karyakartas. 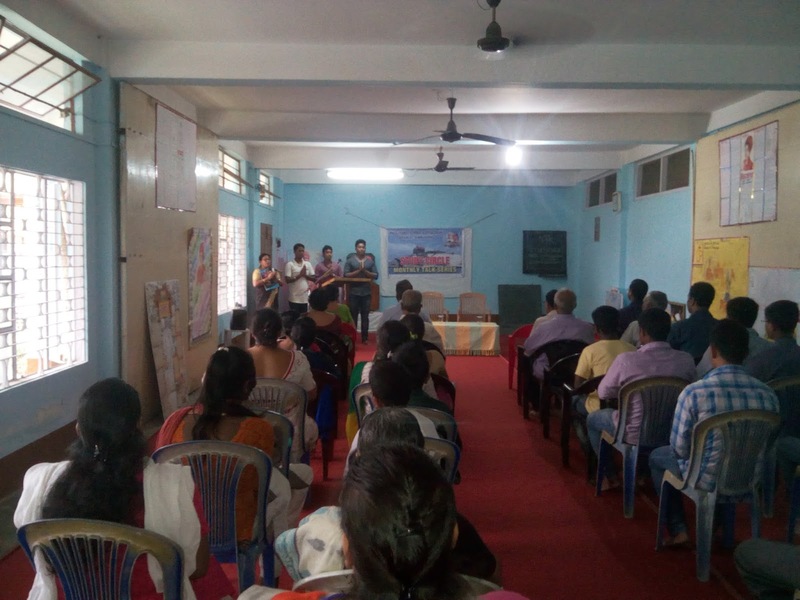 It was started as usual in a very holistic way with tin omkar chanting and vedic hymn( Sahanababatu...) by Vivekananda Kendra karyakartas followed by Introduction session. After that Nagar Adhayan Chakra Pramukh, Dr. Manasi Sarmah introduced the resource person Kum.B.Radha Devi. 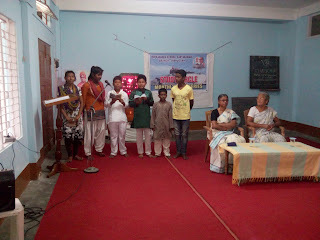 Some of Sanskar Varga children performed a patriotic song before the keynote speech. Kum.B. Radha Devi very beautifully presented and explained the actual meaning of Seva in a very simple and convincing way. In her speech she said that "there is no synonym of 'SEVA ' in English which could define its actual meaning. "Service" is only a partial expression of 'SEVA'. " She also cited example of mothers who does everything for well-being of her children but without any personal expectation. "SEVA" is selfless service with love,shraddha,and commitment. 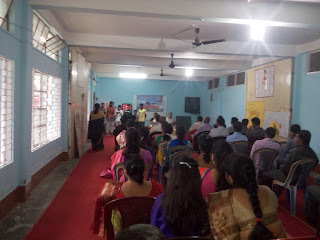 Likewise Didi carried out the discourse in a very inspiring and thought provoking fashion.The speech was followed by an interactive session where few attendants also expressed their views and asked few questions which added further clarity to the concept and the session became more lively.The program concluded with a vedic hymn as shanti path . Good & quality gathering attending the session. Our next "Monthly Talk Series" is scheduled to be held on 24th April'2016 at Vivekananda Kendra Dibrugarh center from 4:30 pm.